If you want your employees to develop their technical skills, hiring a technical trainer may be the best solution. Technical trainers can be hired as freelancers for a particular training program or as permanent employees that will have a say in shaping your training culture and strategy. A bachelor’s degree in the candidate’s field of expertise is mandatory while a graduate degree may be needed for higher level positions. Knowledge and experience are both of extreme importance. Depending on your needs, you may want to screen candidates according to the setting in which they acquired their experience such as private enterprises, consulting firms or higher education. Multiple certification is a common pursuit of trainers so giving weight to that is worthwhile. Trainers of any kind must be organized and passionate. They should also be good listeners, great communicators and patient. Technical trainers face the challenge of having to teach the theory behind highly technical and complicated topics. Ask them to explain technical concepts to see how they manage in that aspect. 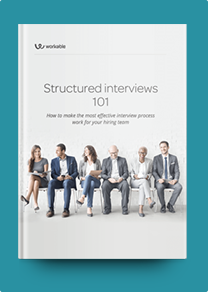 The best candidates will show a curious and analytical mind and impress you with questions about your training needs, requirements and objectives. They’ll be ready to provide their insight and propose solutions. How do you ensure all your trainees understand the value of a training program? Imagine you are teaching a class how to use a technological tool and you perceive that one of them has more difficulties than others. How do you handle this? Would you stay late to help them? If I asked you to identify the training needs of the organization, where would you start? Imagine you’re working in a team, but the others are putting in less effort than they should. What do you do? If your “students” were asking you irrelevant questions, what would you do to keep the training session on topic? How is technical training different from non-technical training? Which topic do you teach best? Can you explain it to me briefly? How does technology help you teach? What’s different between training technical trainers and training other employees? How would you measure a training program’s success? How do you keep abreast of developments in the technological or training field? Pro tip: Seeing a technical trainer in action can hardly be substituted by evaluating their answers to questions, no matter how intelligent. Ask them to develop a brief technical presentation before the interview so you can assess their skills first-hand.